Hello and welcome to our internet pages. 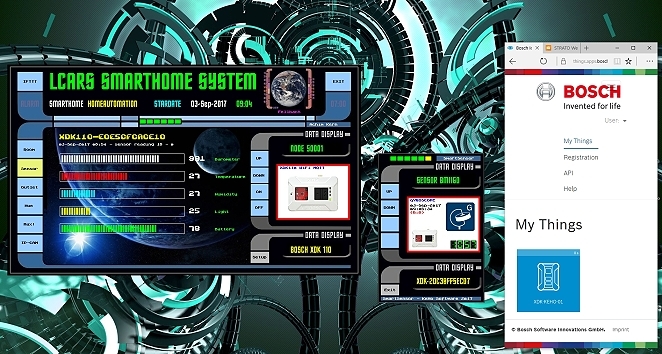 You will find here our LCARS SmartHome and SmartSensor project, Multimedia Travel Guides and Information Brochures, Games and complex Applications. 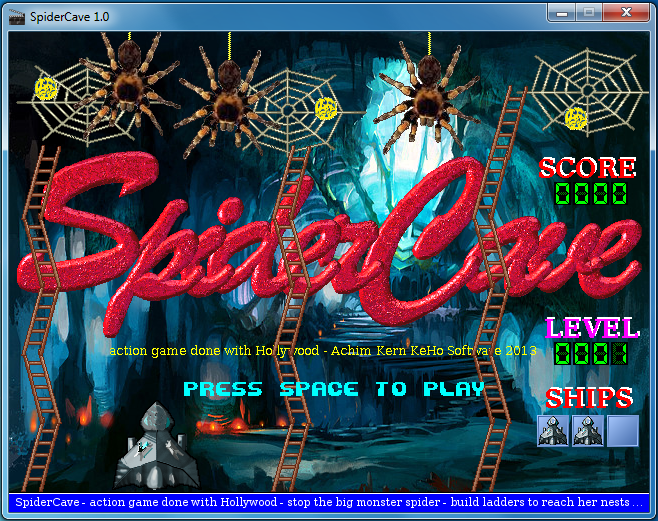 Most of our software is done with Hollywood. Surf at your leisure through our pages and download the provided programs to your favorite computer system and OS. To support our developments, we would appreciate donations via PayPal forward for financing new projects. but it's probably only a matter of time and it is very likely that the reality our ideas will outstrip. 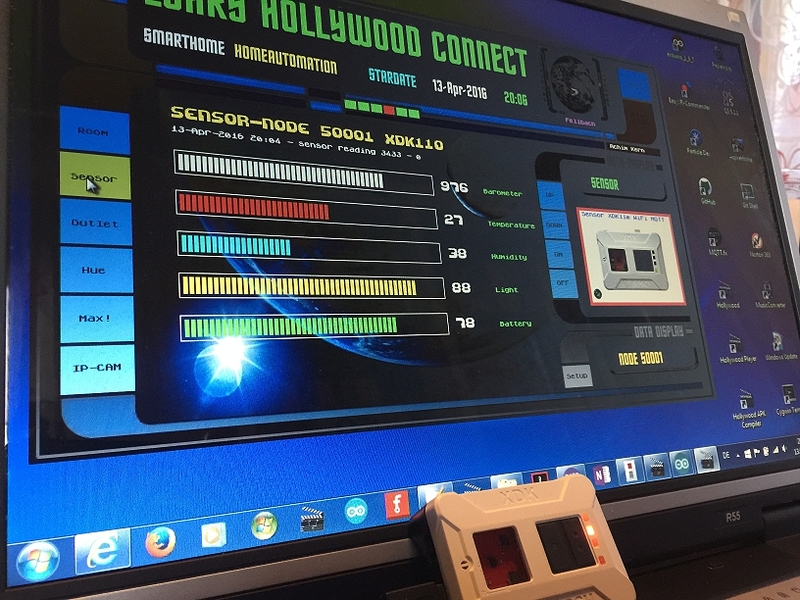 Connect as Startup your ArduinoMega as an MQTT gateway to Hollywood and your operating system. Expand the system later with Particle Photon and LoRa Gateways to have ALEXA, Amy and Marlene at your side. 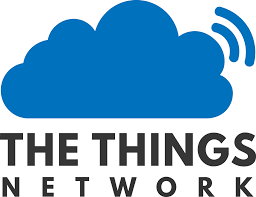 send data to your website and all major IoT Clouds, receive push messages on your phone - everything is possible. 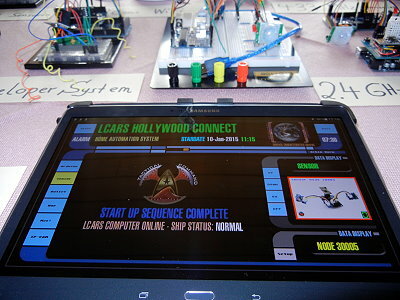 On a tablet with Android or WinOS-10 a perfect and beautiful smart home control system in StarTrek LCARS Design. 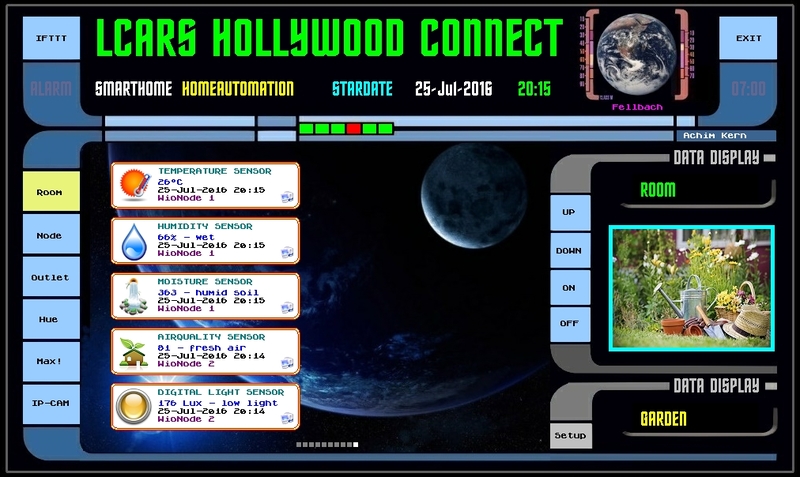 Thanks to Hollywood Player - it is also available for OS4 , MorphOS , MacOS. The system is constantly being expanded with additional functions. Finally we could make it happen - call your sensors with Alexa and get responses from our avatars. What is the Münster board? 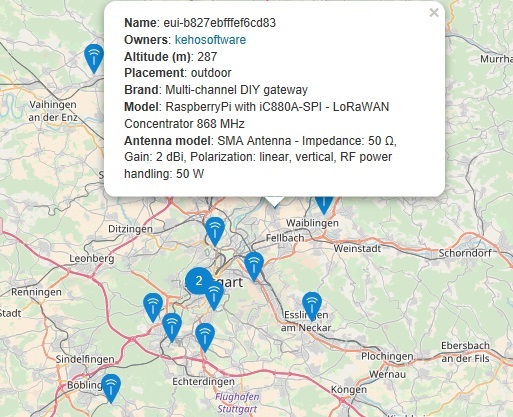 The Münster board is a simple LoRAWAN node that originated in the Ulm TTN / LoRaWAN community. 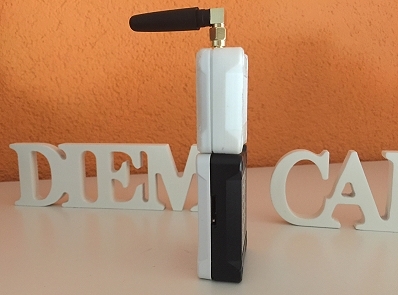 It is based on an Arduino Pro Mini (ATmega328, 8 MHz, 3.3V) and an RFM95 LoRa radio module and has the shape of the Ulm Minster ;-) We got 2 Boards for building and testing - and finally we can say WELL DONE. 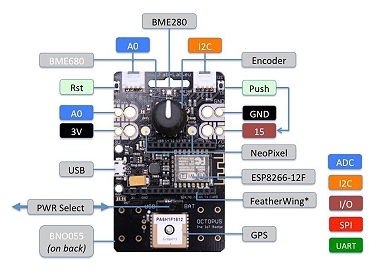 The node is cheap in price, robust and runs actually with a bunch of sensors in 24/7 mode absolutely perfect. Version 8.0 is a massive update with many new features and bug fixes. 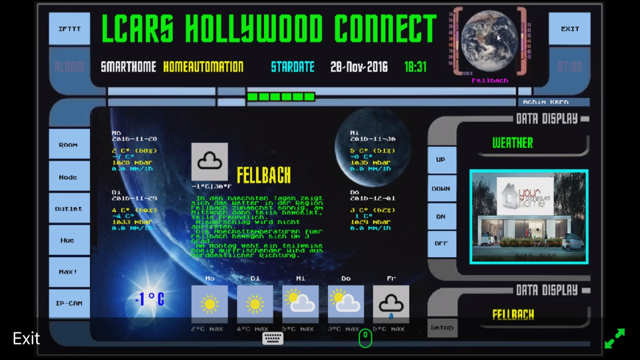 The most important new feature is full RapaGUI support on Android, which allows you to create GUIs for Android devices using Hollywood. As always with RapaGUI, only native widgets are used so the GUIs look and feel completely native. This is a truly unique feature because no other software allows you to create native GUIs for Amiga (MUI), Windows, macOS, Linux (GTK+), and Android! On top of that, there are tons of other new features, bug fixes, and improvements. Hollywood 8 is the ultimate Multimedia experience and a must-have for all creative people. It is THE major development tool of KeHoSoftware so far. So on the Particle WEB-IDE these systems are joining their parents Particle Photon and RedBearDuo - sounds great! 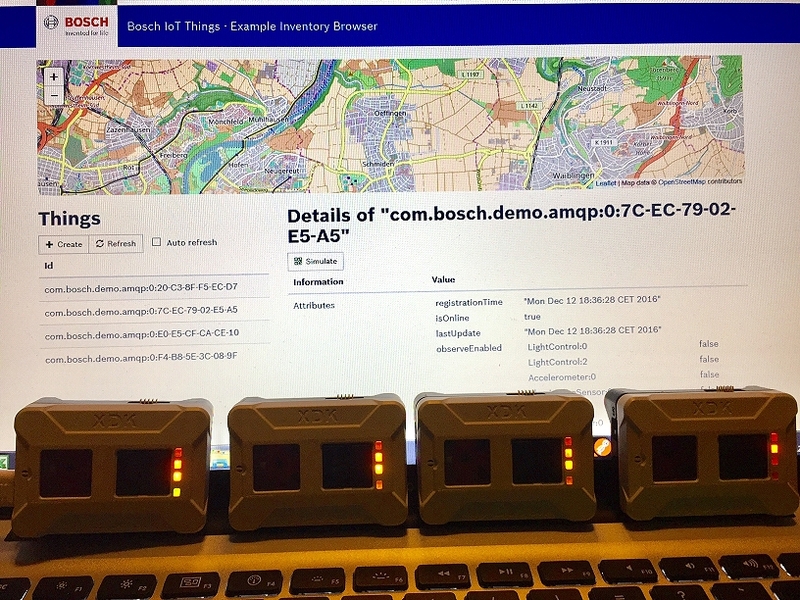 We made first trials with the BOSCH industrial sensor CISS. 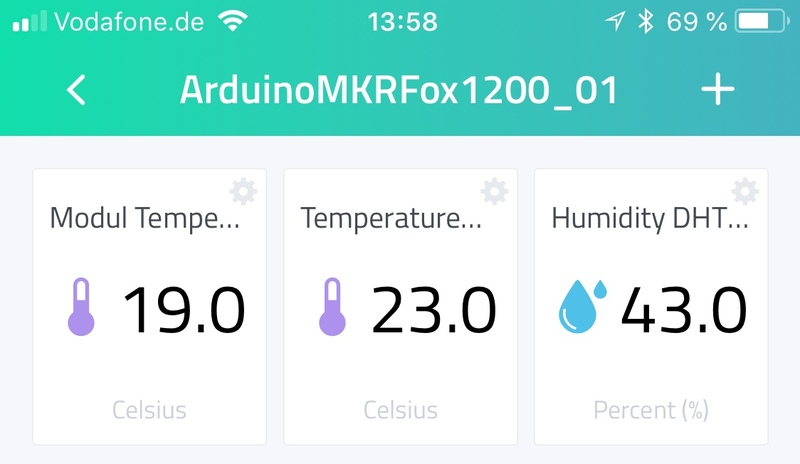 System posts the sensor data into the Bosch IoT Cloud and also into a influxdb. A nice visualisation was done with Grafana. 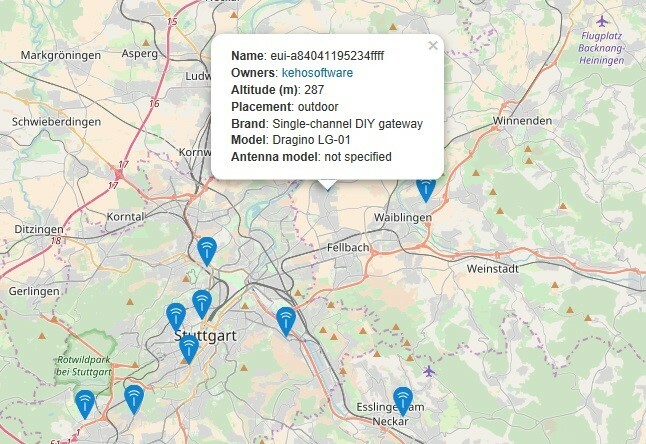 Hello together, finally our first sigfox XDK SensorSystem is now online. We have made some small changes in the actually provided firmware from WB 3.4.0 to provide at first Illuminance Sensor Data every 15 Minutes in the testing phase. We have already implemented callbacks and API's to deliver the data to Dashboards and alerting systems. We have received the 3 sigfox Sens'it systems from France - the quality and use cases of these sensors are amazing. One is actually measuring humidity and temperature in our outside barn package room - the other one is working as an alarm house call button - the third will be run with our own ID and PAC to test use cases in own applications. 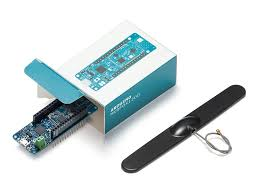 This month we got our first sigfox devices - ArduinoMKRFox1200. 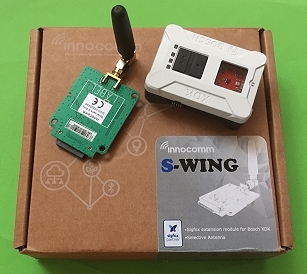 We build some first small sensor solutions and are astonished how good the connection quality is - no problem inside buildings. Only point - 12 bytes data - 140 messages per day. So you should pack and code your data very well. 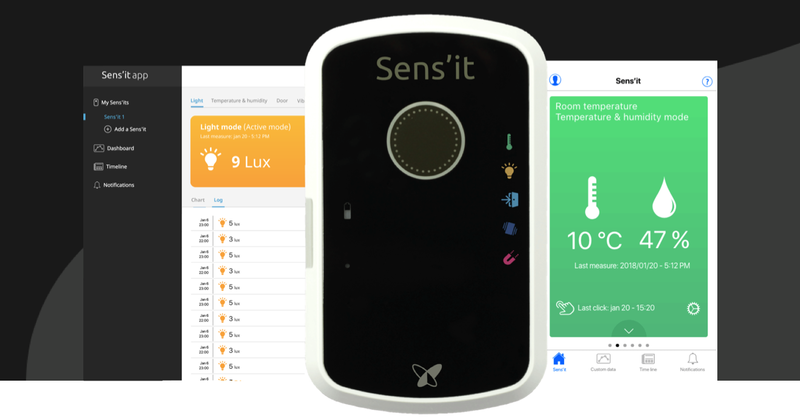 Good news - we receive next 3 Sens'it V3.0. We have received the new LEM extension of the Bosch XDK Sensor System. Now you can measure easy current with help of the VirtualXDK App on your Phone. 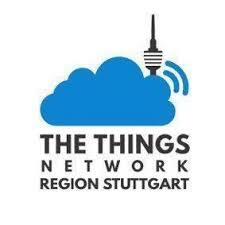 Today we connected an Bosch IoT Suite Octopus System through our own Gateway to TheThingsNetwork. The Sensor Data Visualisation was done with the Cayenne Dashboard. Today we received a Bosch XDK S-WING extension for testing and building up new applications with this system. 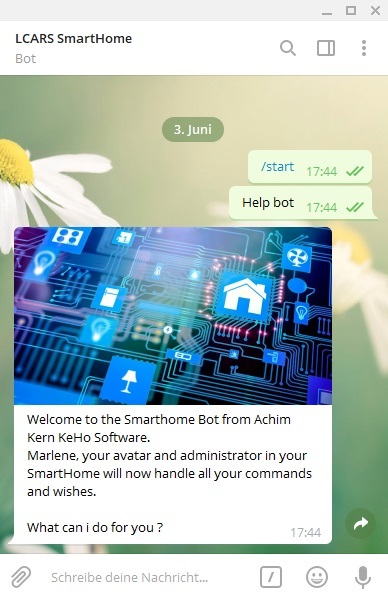 We are actually testing another bot system in our SmartHome application. All looks pretty nice and works perfect. At first we have implemented all plugs - next are lights and sensors. So Marlene is really happy to serve you. Also good news - the 8-channel gateway TTN gateway is now also online. 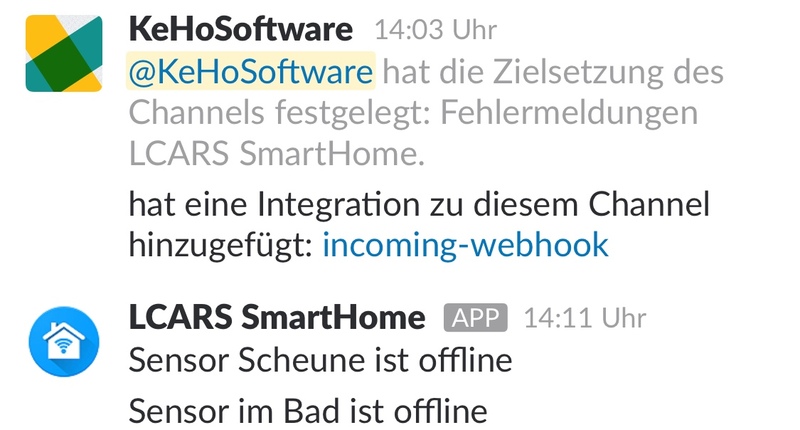 We have now connected our XDK's and all our other Things in the BOSCH IoT Cloud now with Node-RED! Visualize and analyze the sensor and all things data in your own flows. Connect and combine, build and design new applications with Digital Twins in the Cloud, which can now cover a growing number of use cases for you. BUILDING A FULLY DISTRIBUTED INTERNET OF THINGS DATA INFRASTRUCTURE. to talk to the internet without 3G or WiFi. So no WiFi codes and no mobile subscriptions. It features low battery usage, long range and low bandwidth. Perfect for the internet of things. Actually we are testing a Dragino 1 channel gateway - soon we will provide also 8 channel gateways. 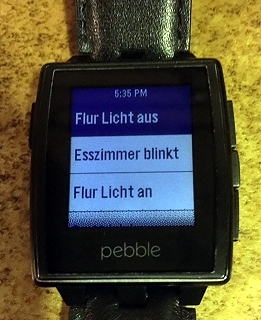 PushOver and Slack# are now available in the LCARS SmartHome as new Push Message Systems. 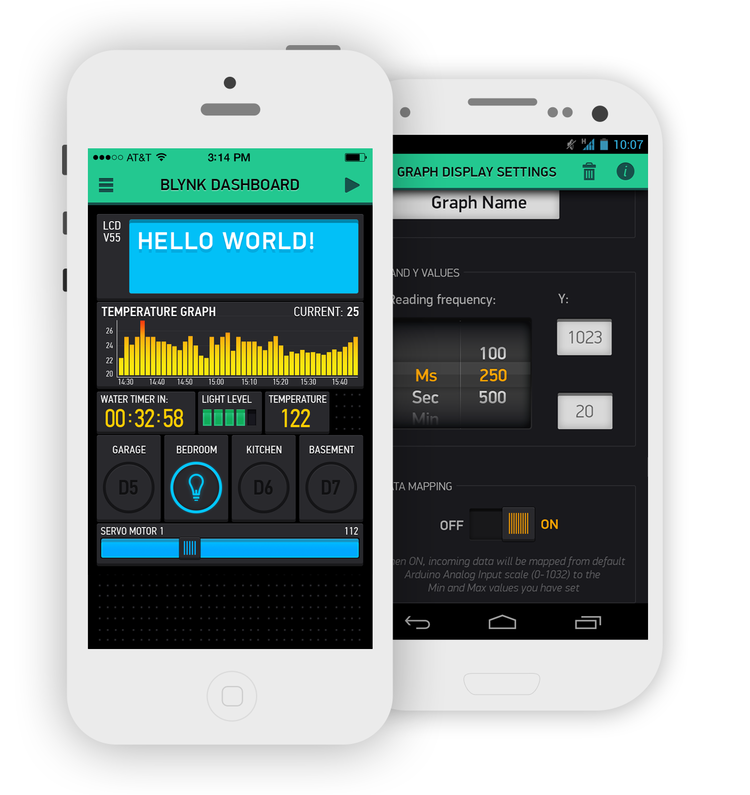 Search and analyze your sensor data in real time. Elasticsearch is a distributed, REST-based search and analytics engine, which can cover a growing number of use cases. As the heart of the Elastic Stack, it stores your data centrally, so that you can easily find what you are looking for and discover the unexpected. Actually the BOSCH XDK SensorBlock and the Octopus System are the first who are posting the data into elasticsearch. 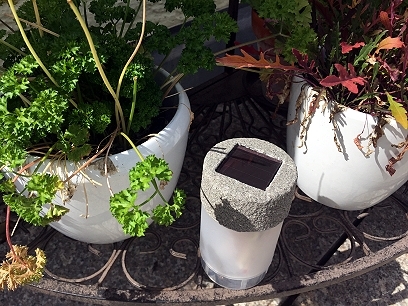 Spring is coming - time to build some smart outdoor sensor systems. Here are some first trials. 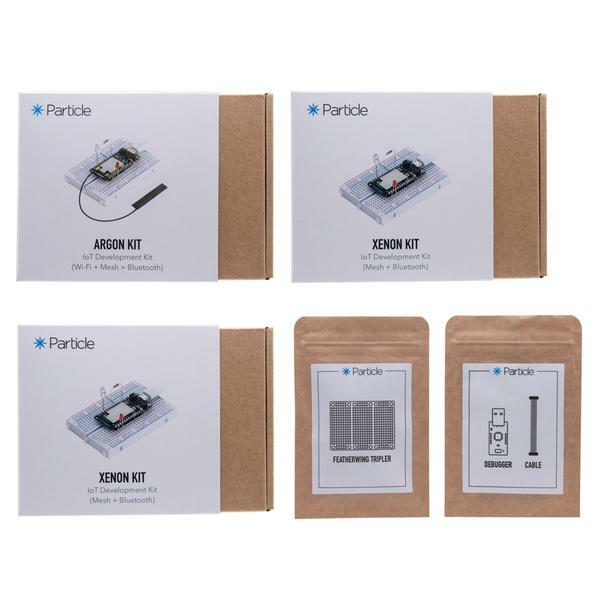 Also build some types of different outdoor moisture sensors. 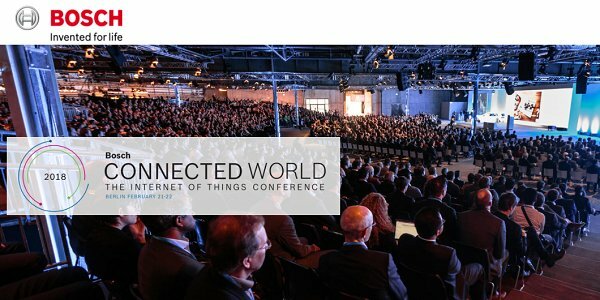 Bosch ConnectedWorld 2018 is an annual event that celebrates the Internet of Things (IoT). Presented by the Bosch Group, the fifth annual conference takes place February 21-22, 2018 at STATION-Berlin. Bosch ConnectedWorld’s purpose is to provide the inspiration, education, and connections you need to thrive in IoT. This February, they host more than 140 speakers on four stages presenting IoT trends and implementations in front of more than 3,500 conference and hackathon participants. Through inspiring keynotes, three session tracks, a huge IoT exhibition, a Meet Up stage, a hackathon, and a lot networking opportunities, you will learn how the Bosch ConnectedWorld experience, and especially IoT, is truly remarkable. See you on #BCW2018 in BERLIN ! 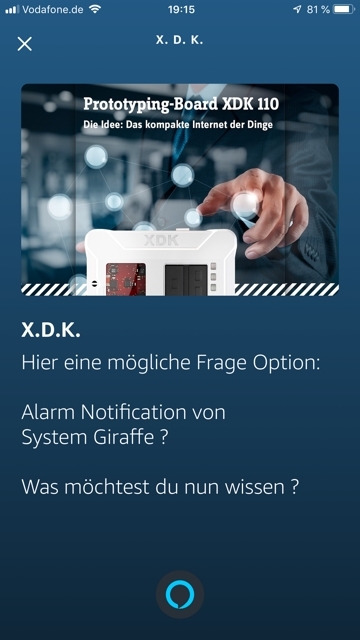 Check out our new Blog of the BOSCH XDK Sensorsystem - News also available with Amazon ALEXA. 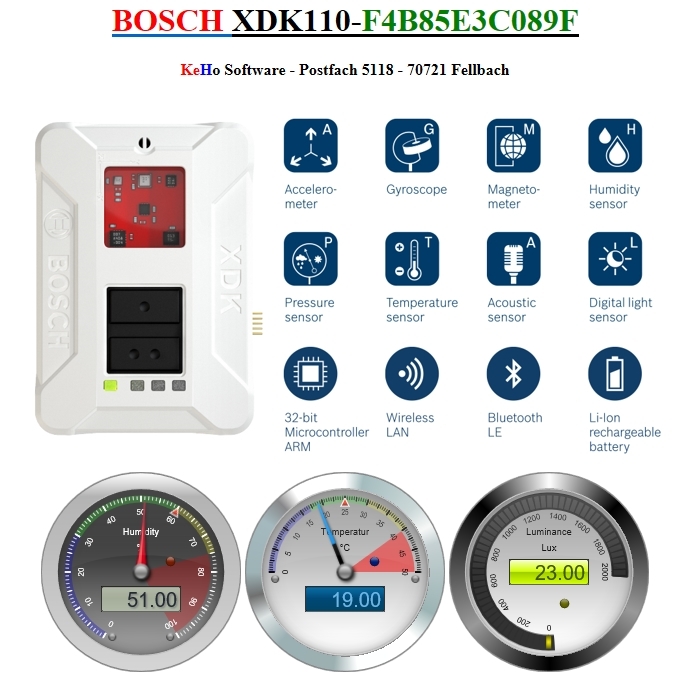 We once again dealt with the BOSCH XDK. 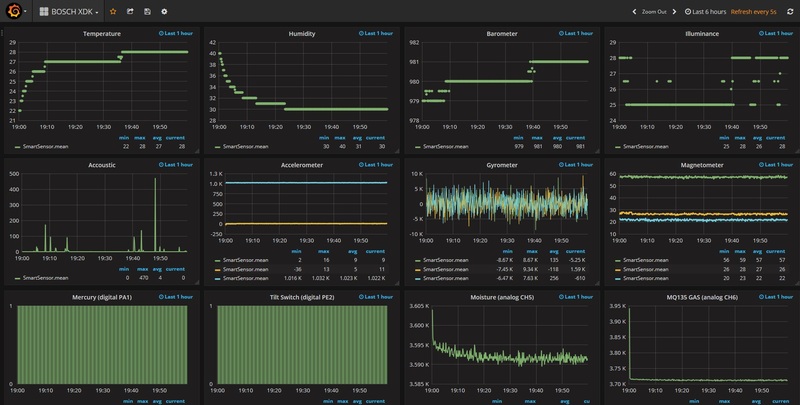 It was developed a firmware, which now with the help of an Influx database and Grafana can visualize your sensor data very nice and appealing. 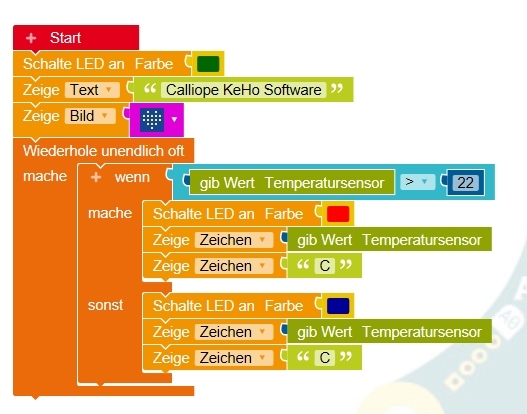 The whole thing we liked so much, that we also have this kind of visualization for to implement into our Smarthome application. 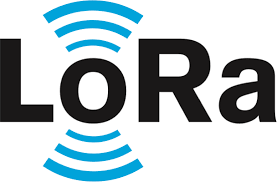 A new series of sensor nodes have joined the LCARS SmartHome - LoRa - long distances to our barn and apple tree plants are now no more a problem. We have build up some Arduino Nano and Octopus Nodes for testing. 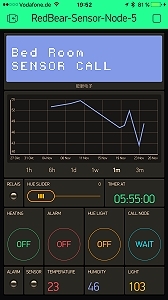 The SmartSensor and SmartHome Alexa Skills are now able to steer and call mostly every "thing" in the LCARS SmartHome system. Actually included the EQ3!MAX thermostats and the brennenstuhl outlets. 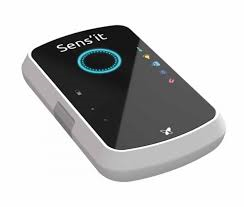 SmartSensor SmartHome Alexa Skill can call that data and provide with a short analyse. And finally - ALEXA can steer directly our SONOS speakers. 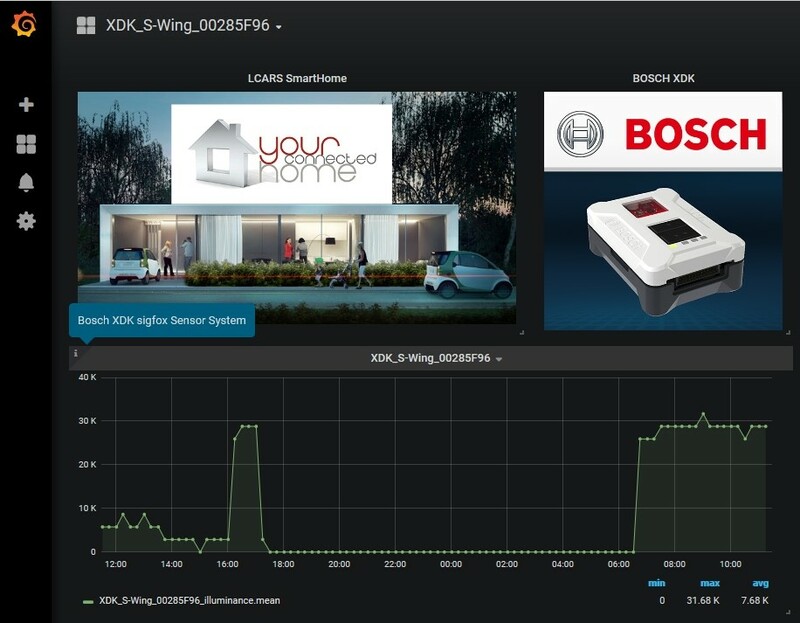 Bosch XDK Sensor Data directly send to the Bosch IoT Cloud with the MyThings Service. 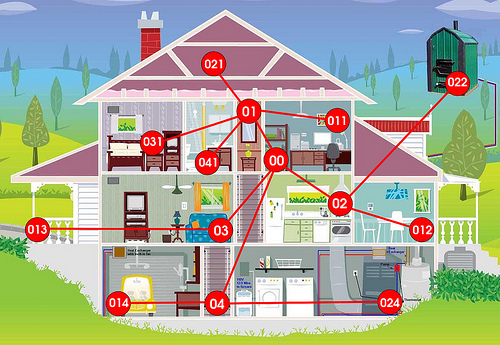 Our SmartHome and SmartSensor Applications can grab the data and work with it. 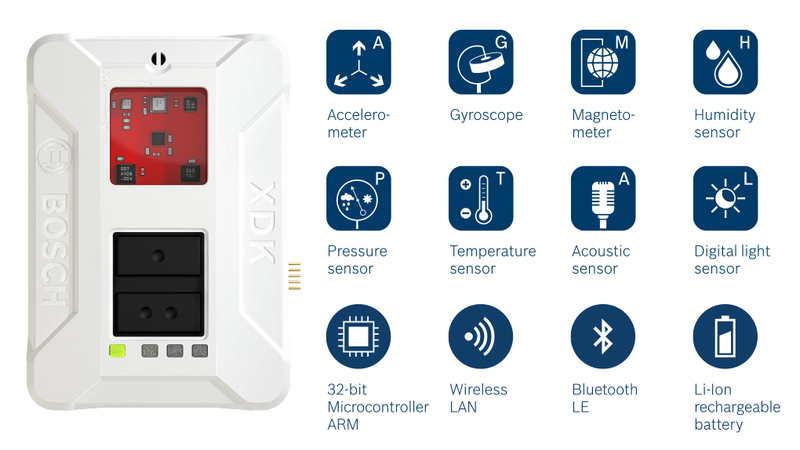 The XDK has now also a new nice outdoor casing. 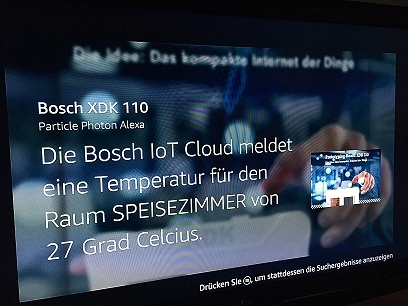 Bosch XDK Sensor Data called out of the Bosch IoT Cloud with the Amazon Firestick and showed as TVCard. All sensors, actors, services etc. 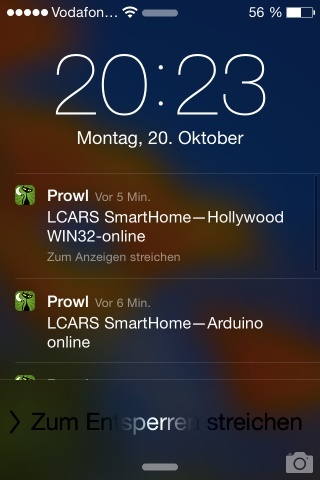 in the LCARS SmartHome SmartSensor system will have this feature soon. Bosch XDK can now switch all Philips HUE lamps in the SmartHome with easy clicking on button 1. Pressing button 2 aktivates the alarm system. Now all Bosch sensors included + 4 external. Winning project - an easy to use Datamining Tool for everyone. The Calliope IoT system has been delivered today. With the Calliope mini, Germany want to give a start shot for digital education - so that all children can learn creatively and playfully from elementary school how the digital world of tomorrow works. 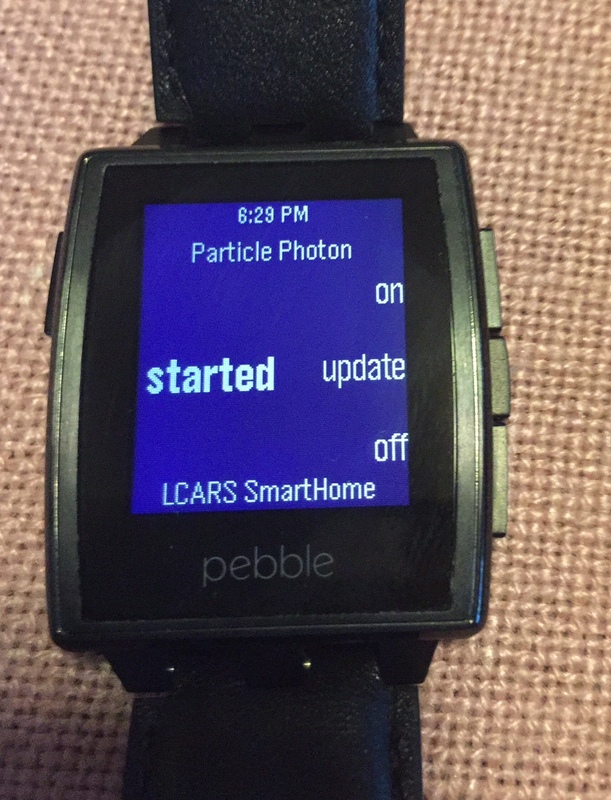 ParticlePhoton Alexa Skill has joined the LCARS SmartSensor and SmartHome today. 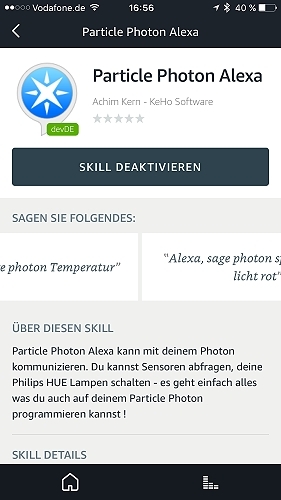 Switch and controll your hue lamps with perfect speech feedbacks, call all sensors in your SmartHome -- whatever -- all is possible - with Amazon Alexa and the Particle Photon. 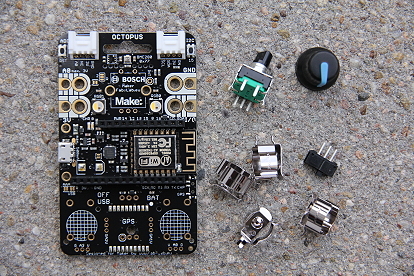 The famous OCTOPUS IoT education and developing board has joined the LCARS SmartSensor and SmartHome today. Five Nodes are now able to provide and send data via HTTP and MQTT to our applications. 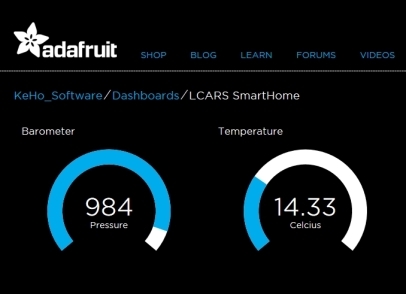 The Adafruit Cloud and the Cayenne Sensor Cloud have joined the LCARS SmartSensor and SmartHome today. All Nodes are now able to provide and send data to this clouds. 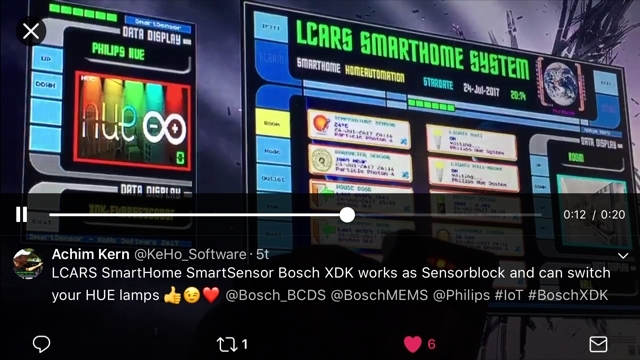 Bosch XDK Sensor Block sends data to webpage and can be called via Alexa. 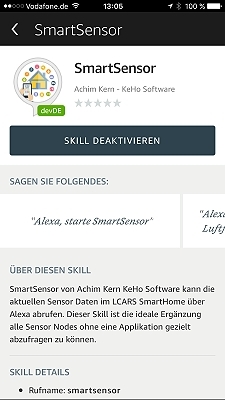 Alexa Skill SmartSensor is a another service which is now available. Ask Alexa about the humidity in your bathroom, the temperature on your terrace - what ever - perfect. 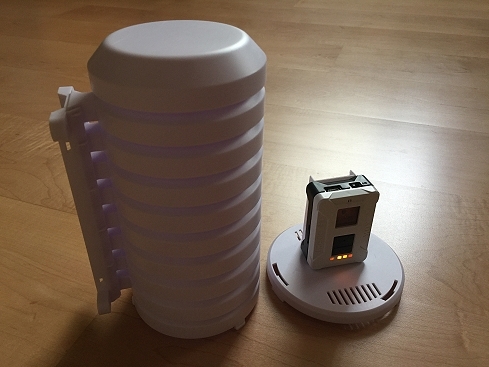 The Relayr Cloud has joined the LCARS SmartSensor and SmartHome today. All Nodes are now able to provide and send data to this cloud. The Logitech Harmony Hub has joined the LCARS SmartHome today. Alexa has a new boy friend - the Bosch SmartHome 360° indoor cam. Amazon Alexa has now access to our SONOS Sound System. Start your favorite Radio Station, Music Playlist or activate the famous "RED ALERT". 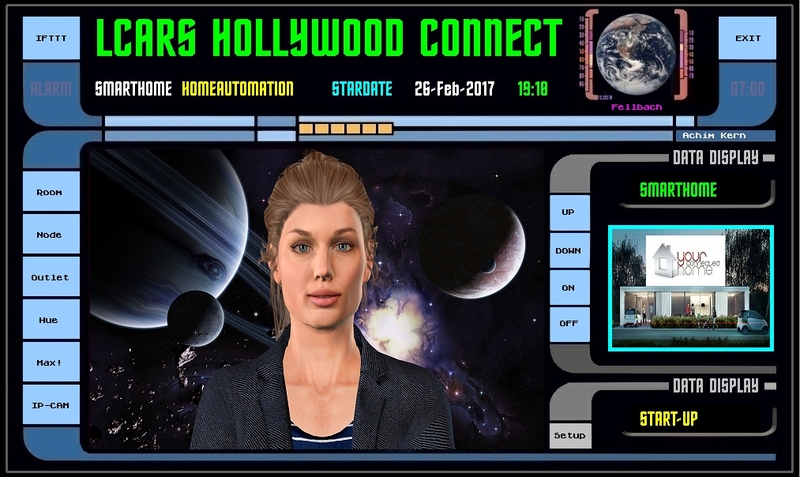 3D-animated Avatar Amy with Amazon AWS Polly Voice Systen joins the LCARS SmartHome System. 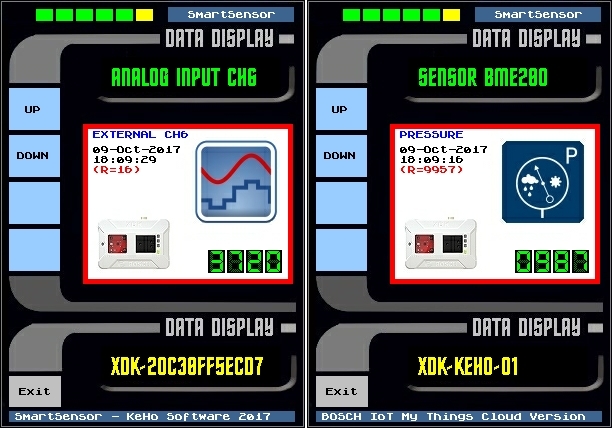 Bosch XDK accoustic sound sensor implemented in LCARS SmartSensor application. 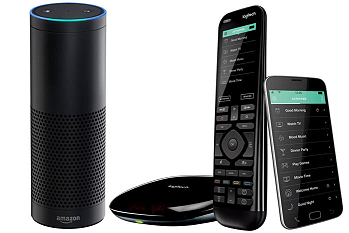 Amazon has now Alexa and the EchoDot2 delivered ! 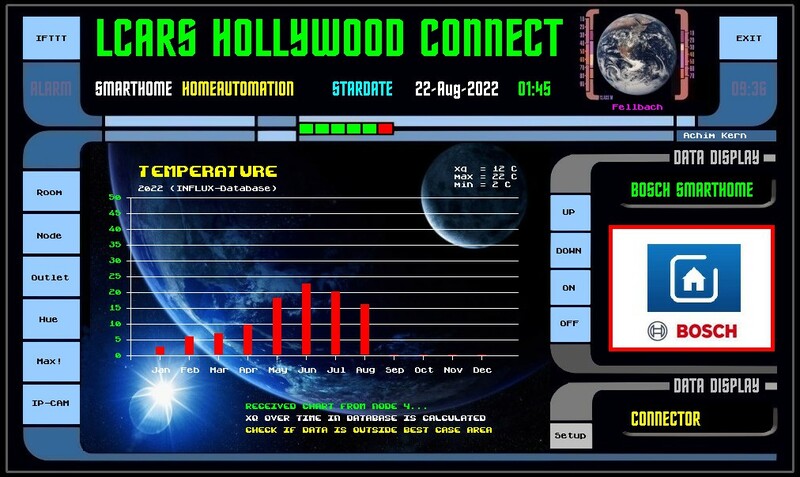 LCARS Hollywood SmartHome application is now able to communicate with Marlene to Alexa - that's amazing. Also every command and function is now possible via a voice command. 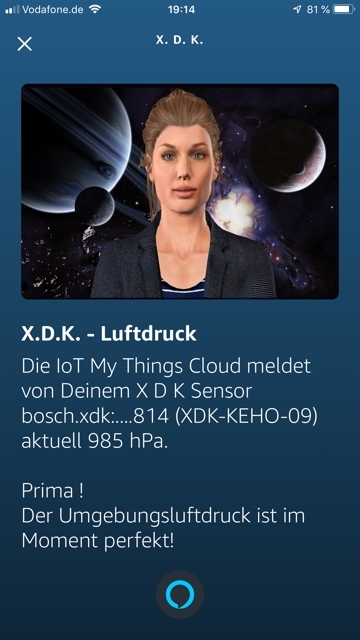 XDK Cloud invasion has started - more and more THINGS coming online in the BOSCH IoT Cloud System. 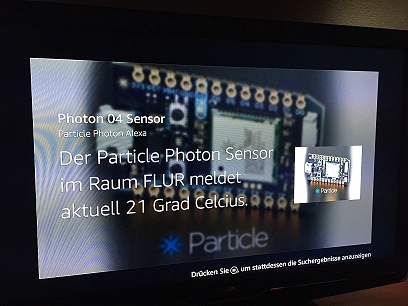 Next milestone - LCARS Smarthome application now on Philips Ambilight TV and Iphone6 working together with AppleTV. 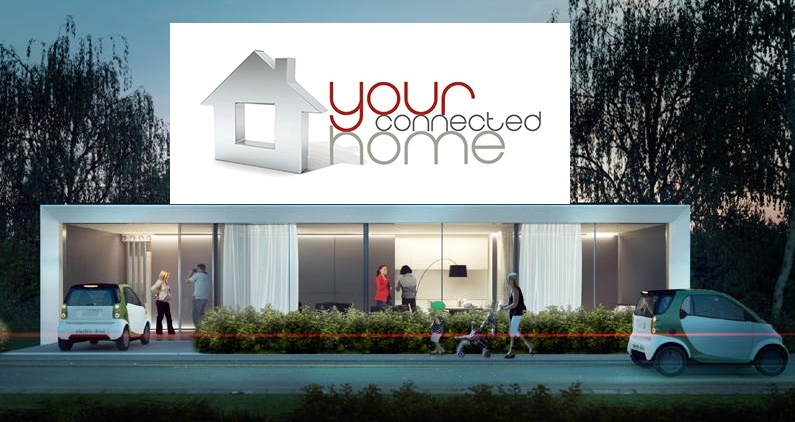 The complete Smarthome on the TV can be controlled with an app on the IPhone6s. 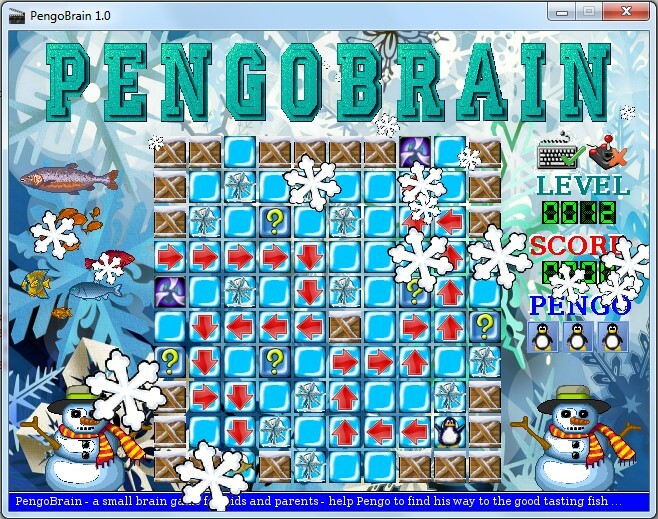 Actually running tests with the BOSCH XDK SensorBlock to play our Kid Game PengoBrain. SmartGarden is another actually running project. 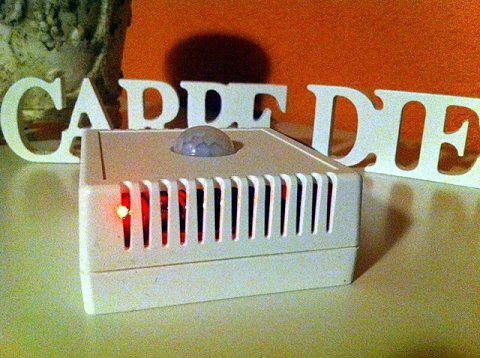 The garden sensors send the data to the Hollywood SmartHome application and also to the devicebit.com sensor cloud. Here we can see them on their web page or easy also on your Handy. From push buttons to e-panels, the development of technology keeps improving the way we interact with our surroundings. Since the advent of voice interaction technology, our life has truly become easier in many ways. 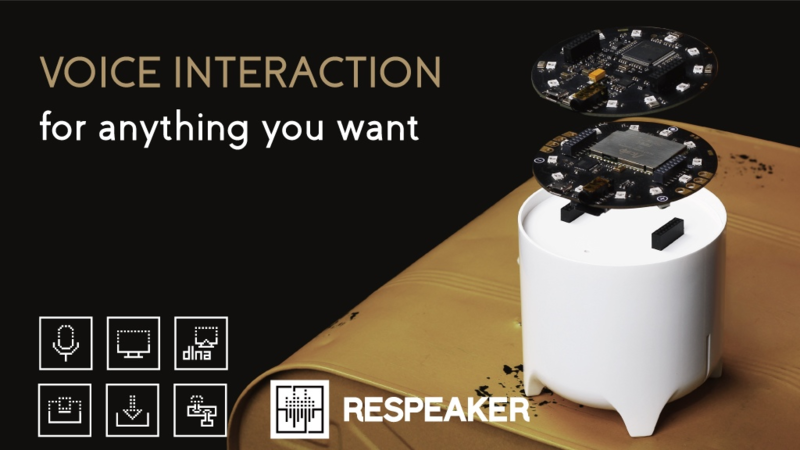 We think we can take advantage of this technology, and achieve more with it – ReSpeaker provides an open source, modular voice interface that allows us to hack things around us, just using our voices. We are making ReSpeaker compatible with our previous project the Wio Link and the subsequent members of the Wio family the Wio Node and the Wio Core. 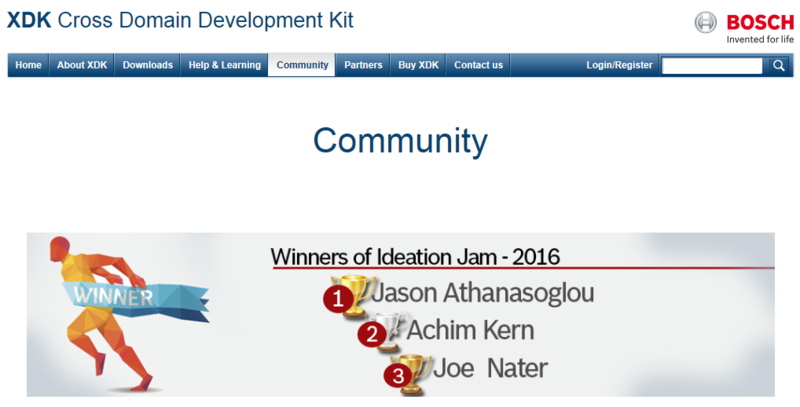 We have won the second place - silver medal - Bosch XDK Ideation Jam. 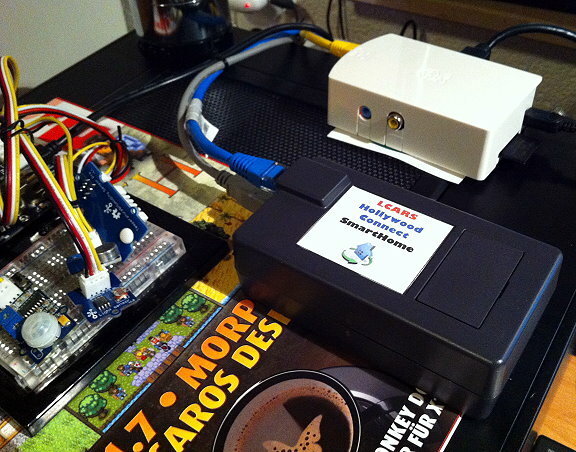 Wio Node - the smaller brother of Wio Link runs actually with solar powered LiPos in the LCARS Smart Garden. We will participate with some projects done with an XDK soon. Wio Node - the smaller brother of Wio Link will make his way to the Smart Garden and Smart Barn soon. 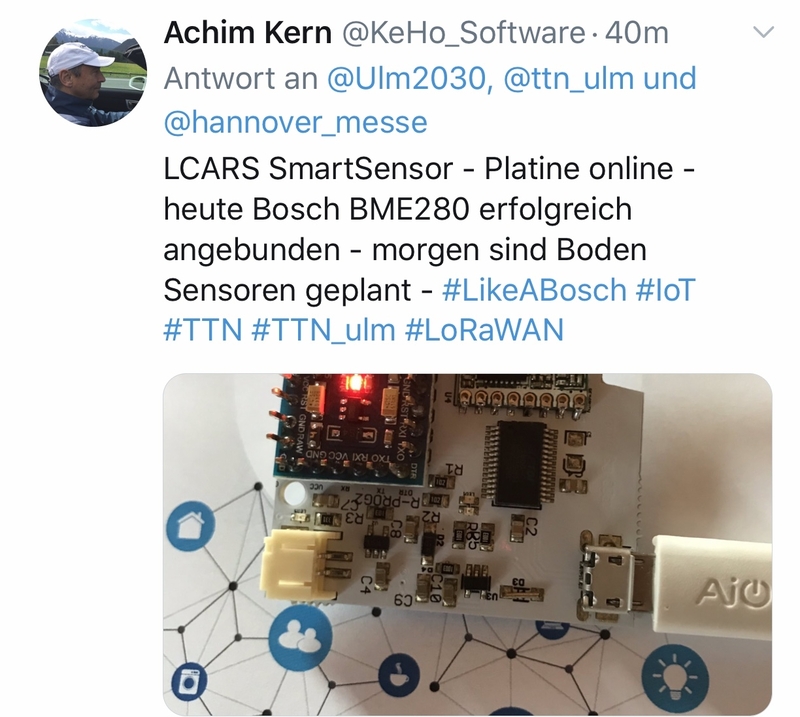 The BOSCH BME280 Sensor has found his way to our smarthome sensor nodes. 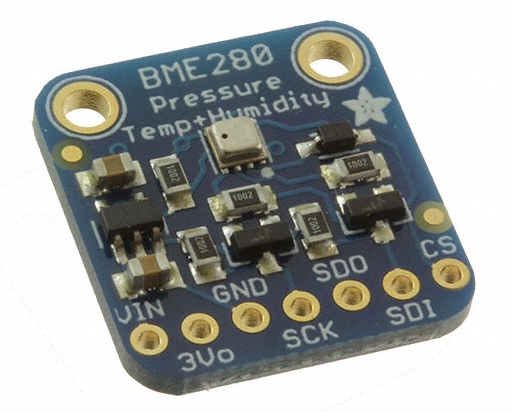 This sensor is small in size and can provide humidity, temperature and pressure. 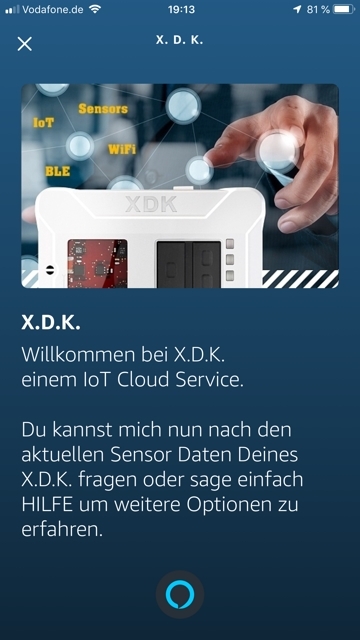 The BOSCH XDK 110 Sensor has now also found his way to our smarthome. 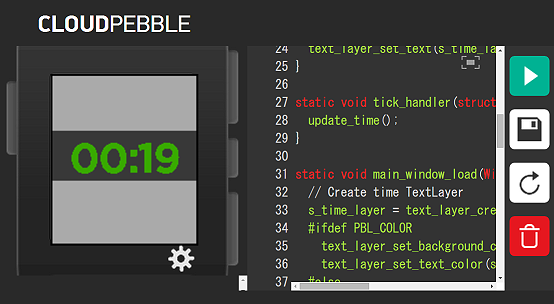 The SmartHome is now able to communicate with a Pebble Watch. Switch on/off your lights for example. 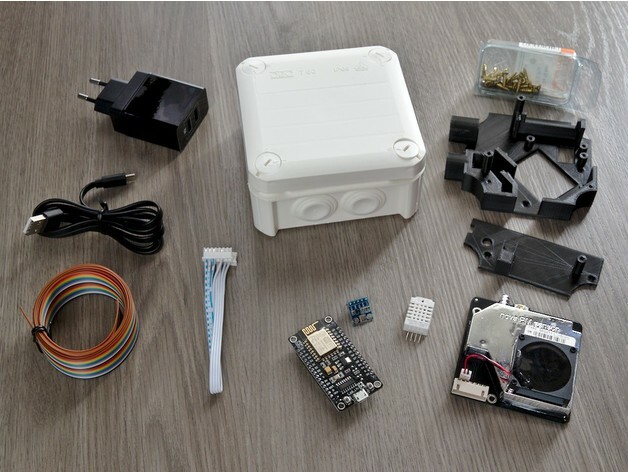 Sunfounder Sensor Kit (37 different sensor types) now for all nodes available. 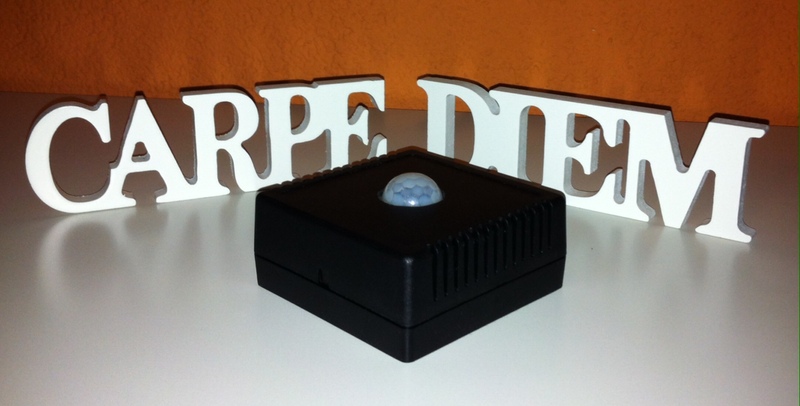 Perfekt - our SmartHome has now 5 nodes build with the brand new RedBearDuos and the RBLinks. 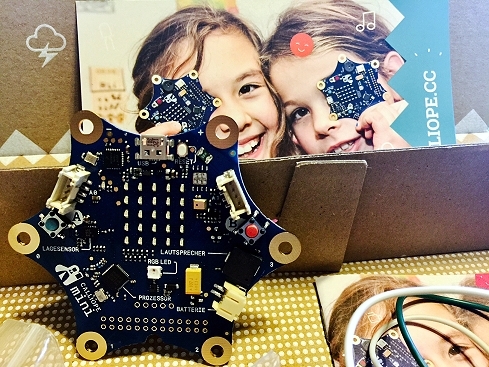 The RedBear Duo is a thumb-size development board designed to simplify the process of building Internet of Things (IoT) products. 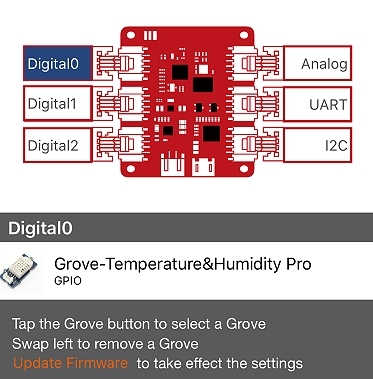 The Duo is software compatible with Broadcom WICED SDK and provides everything you need—Wi-Fi, BLE and a powerful Cloud backend, all in a compact form factor that makes it ideal for your first prototype, a finished product, and everything in between. 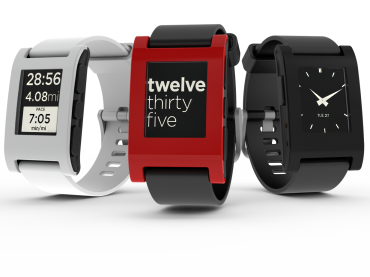 The Duo contains both Wi-Fi and BLE capabilities. 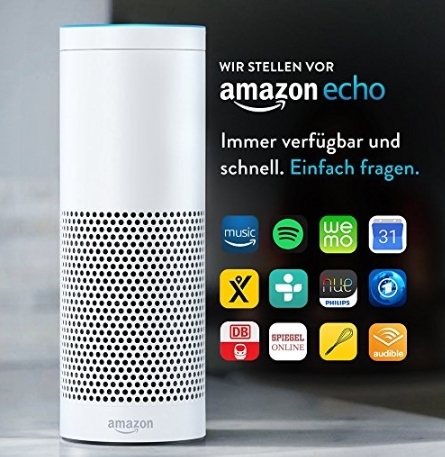 This means your project can communicate locally with Bluetooth enabled devices and can also connect to your local Wi-Fi network to interact with anything else on the web. 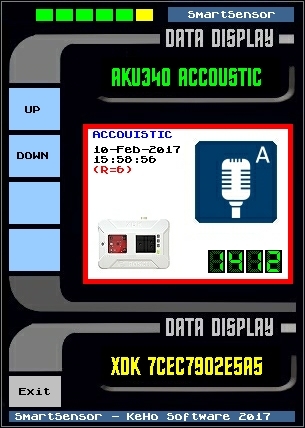 The Duo is built around the Broadcom BCM43438, a Wi-Fi 802.11b/g/n plus Bluetooth 4.1 (Dual Mode) combined chipset. 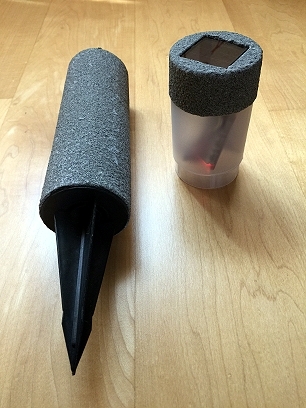 They share the same 2.4GHz antenna and can run at the same time. This gives you the flexibility to utilize the most suitable wireless technology(s) for your project. So far - ELEKTRA has now a second speech recognizer letting you use full-sentence voice commands. MOVI™ is an easy to use speech recognizer and voice synthesizer. 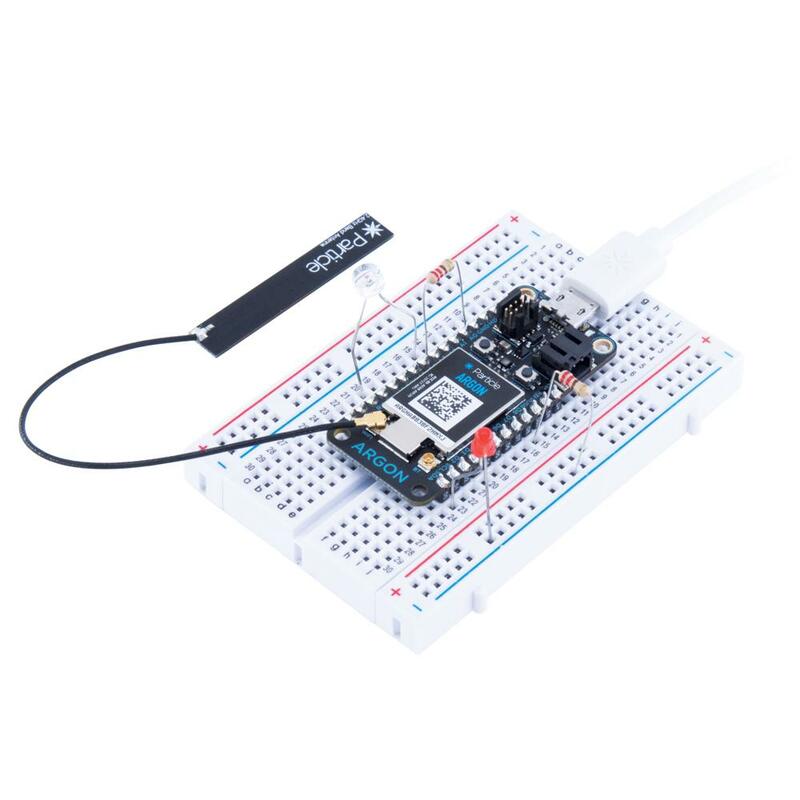 It is used with an Arduino board and provides an alternative to buttons, remote controls, or cell phones by letting you use full-sentence voice commands for tasks such as turning devices on and off, entering alarm codes, and carrying on programmed conversations with projects. It is programmed directly from the Arduino IDE. 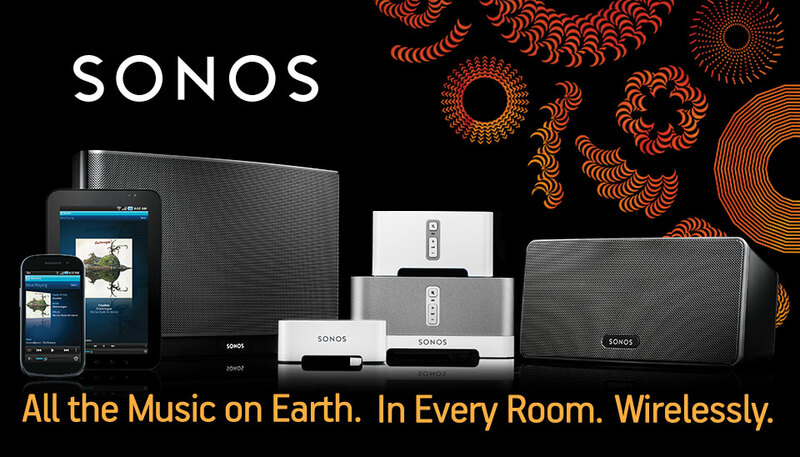 Sonos sound system via gateway and WLAN integrated . 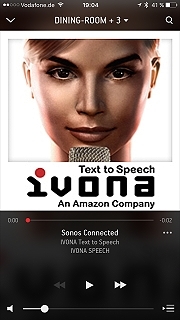 Electra can now talk via the SONOS system. Listen to your music collection and radio stations. Smart Home Wake Up in the morning now with Philips HUE and SONOS even more perfect. Module SQL database created - all sensor data are now stored in addition to the .csv data files in sqlite3 database files. 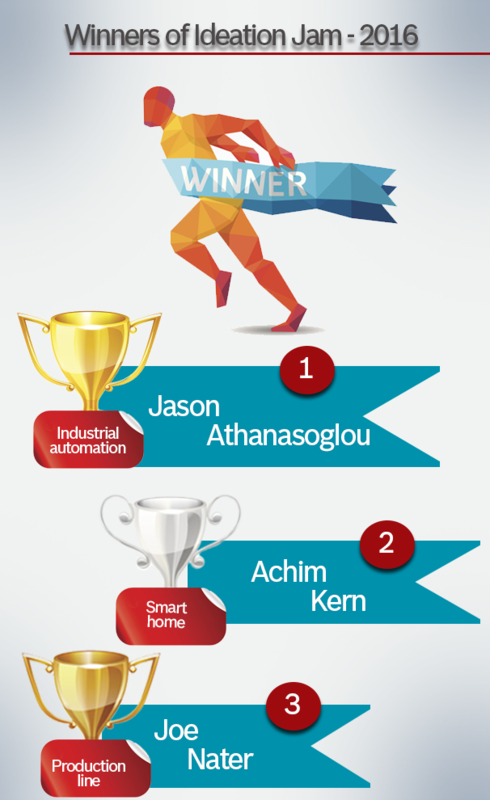 The database will be used within the smart home application for comfortable evaluating and visualizing information . 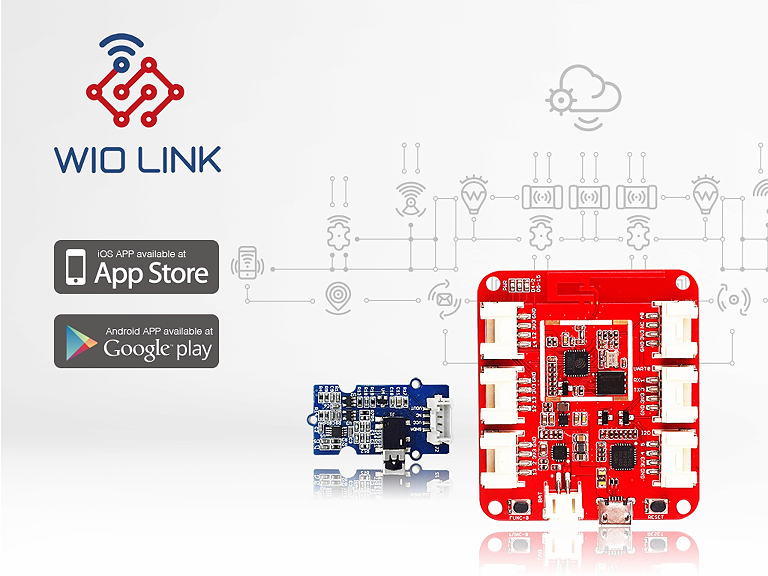 Blynk is a Platform with iOS and Android apps to control Arduino, Raspberry Pi and the likes over the Internet. It's a digital dashboard where you can build a graphic interface for your project by simply dragging and dropping widgets. It's really simple to set everything up and you'll start tinkering in less than 5 mins. 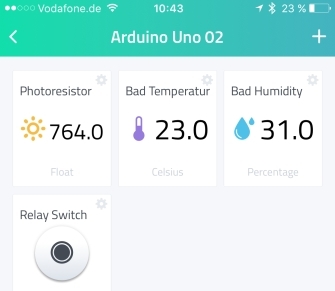 Particle Sensor Nodes can communicate via Blynk app now with the Smart Home - control and receive data - ditto the Arduino Gateway. 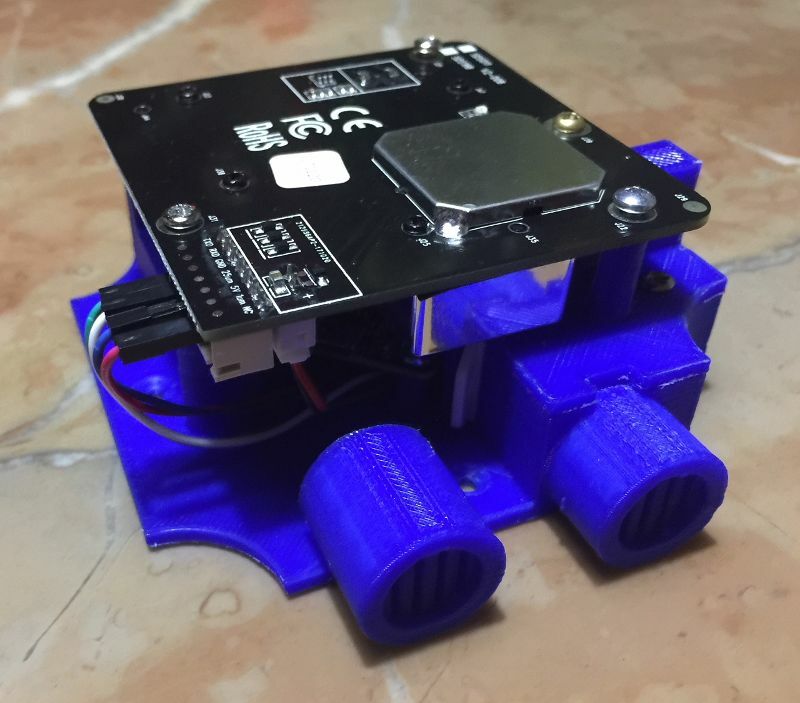 Sensor Nodes communicate via WiFi and MQTT with the smarthome. 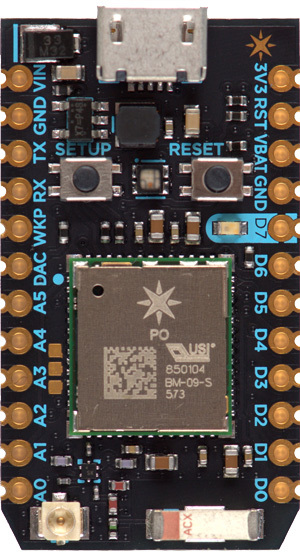 The Photon is a development kit for creating Wi-Fi connected products, and the spiritual sequel of the Spark Core. 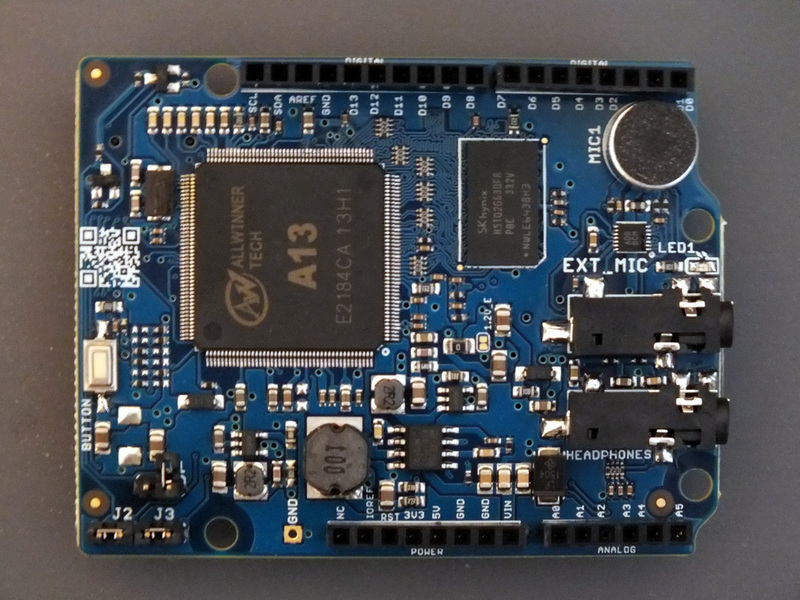 It's based on Broadcom's WICED architecture, and combines a powerful STM32 ARM Cortex M3 microcontroller and a Broadcom Wi-Fi chip (the same one that's in Nest Protect, LIFX, and Amazon Dash). A report on LCARS Home Automation is to appear in the Amiga Future Issue May , 2015. At the same time we have started a course how you you can build a system yourself. Remove ladders and chase the spiders. Harvest the giant yellow eggs with a Power Beam. Collect parachutes in to get more equipment. 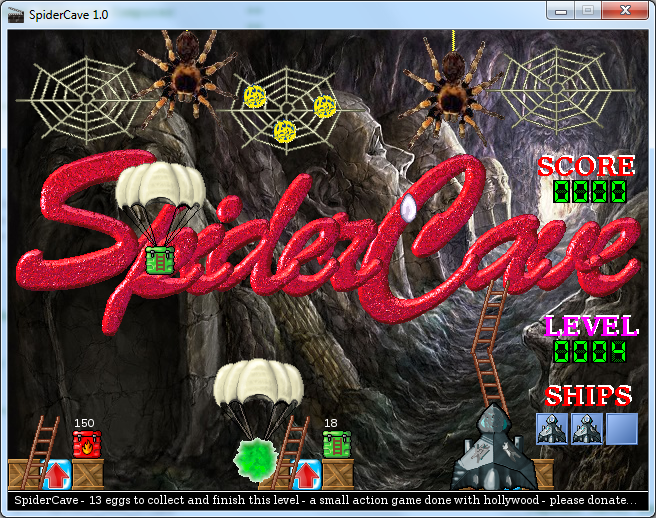 Assemble the big transport rocket in the last level and leave the Spider planet. The programs - and of course the multimedia CD's - you can order directly from us and reflect. Just use the order form available here. Also in many magazines - for example, AMIGA FUTURE you can get our freeware software on CD or DVD. Hollywood , a multimedia -oriented programming allows us now to create completely identical programs for all platforms on a cross-compiler. We currently recycle repeatedly old classics and new software with this compiler. The authors traveled since 1980 all 5 continents. In particular, North America has been repeatedly explored over a longer period per camper. In well over 200 000 driving kilometers we could collect a lot of information and experience, which we have introduced in our multimedia guides. We currently place our USA National Parks Guide to new. Alaska-Kanda (West) per Wohnmobil Schettler Verlag published. Travel Guide is available to all OS Systems - at no charge ! 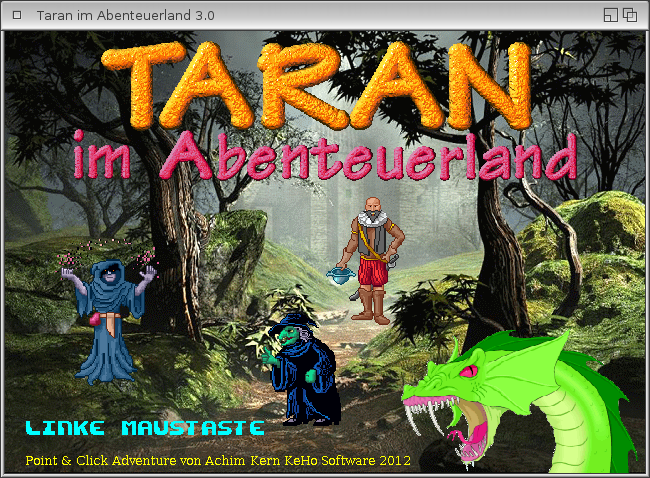 Adventure game Taran im Abenteuerland got awards from educators and teachers. Coktel Vision France and used in the software Addy-Lernreihe.